Congratulations are in order to the Kartemquin Films family! Today, the nominees for the 37th annual News & Documentary Emmy® awards were announced, and two Kartemquin Films, Life Itself and The Homestrech, are in contention. Life Itself was nominated twice – for Best Documentary (Director Steve James, Producers Zak Piper and Garrett Basch, Executive Producers Kat White, Mark Mitten, Michael Ferro, Justine Nagan, Gordon Quinn, Steve Zallian and Martin Scorsese, aired on CNN Films) and for Outstanding Editing: Documentary And Long Form (Editors Steve James and David E. Simpson). The Homestretch was nominated in Outstanding Business And Economic Reporting: Long Form as well. Congratulations are in order for Executive Producers Sally Jo Fifer, Justine Nagan, Gordon Quinn, Andrew Schwertfeger and Lois Vossen and Producers/Directors Anne De Mare and Kirsten Kelly, who were honored for their work on the film that aired on Independent Lens PBS. Based on his memoir of the same name, Life Itself recounts the surprising and entertaining life of world-renowned film critic and social commentator Roger Ebert – a story that’s by turns personal, wistful, funny, painful, and transcendent. It was broadcast on CNN in January 2015. The Homestretch tells the story of three homeless teenagers who brave Chicago winters, the pressures of high school, and life alone on the streets to build a brighter future. Against all odds, these kids defy stereotypes as they create new, surprising definitions of home. It was broadcast on PBS Independent Lens in April 2015. 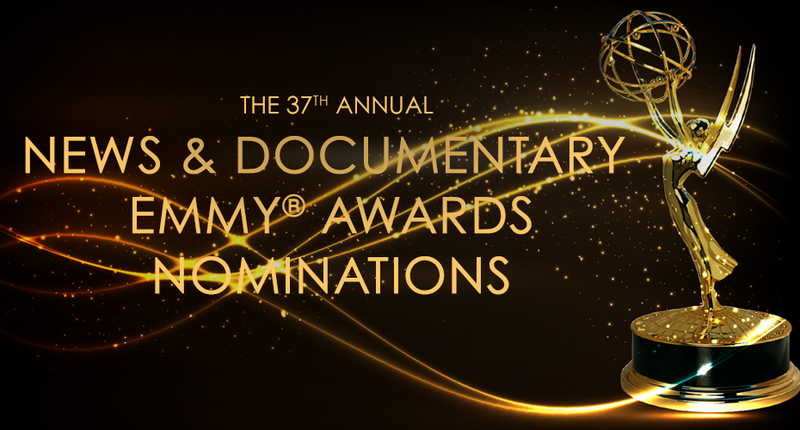 The 37th Annual News & Documentary Emmy® Awards honors programming distributed during the calendar year 2015. The winners will be announced at the Award Presentation at Jazz at Lincoln Center’s Frederick P. Rose Hall in NYC on September 21st. This marks the third year our of the last four that Kartemquin films have been Emmy-nominated, and the ninth and tenth Emmy-nominated films in our history.